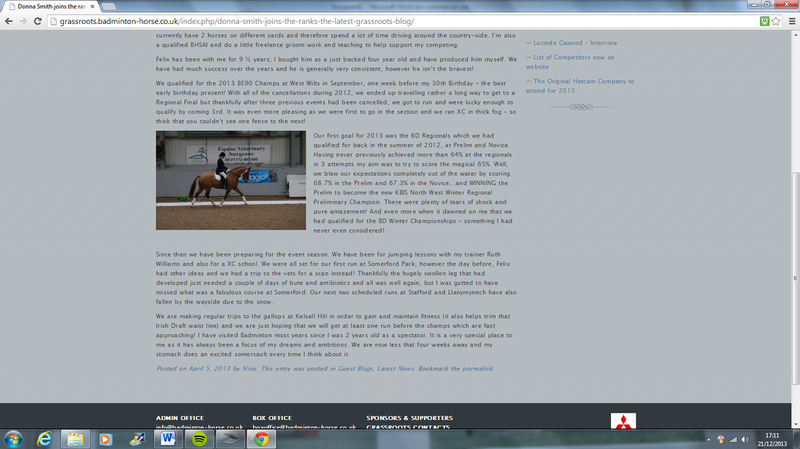 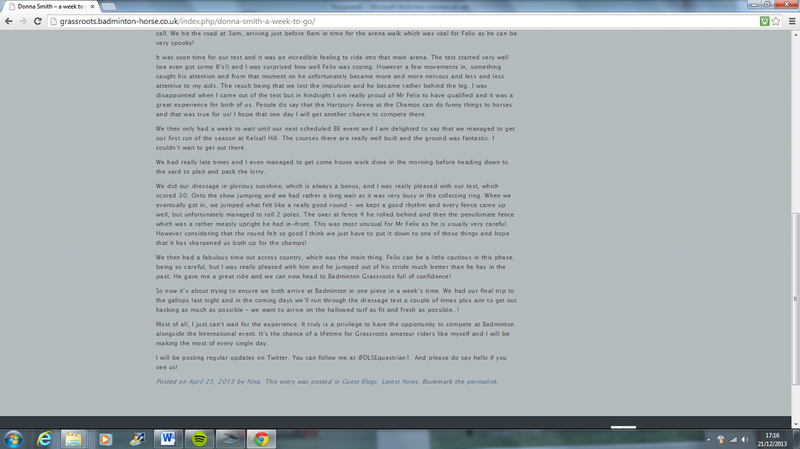 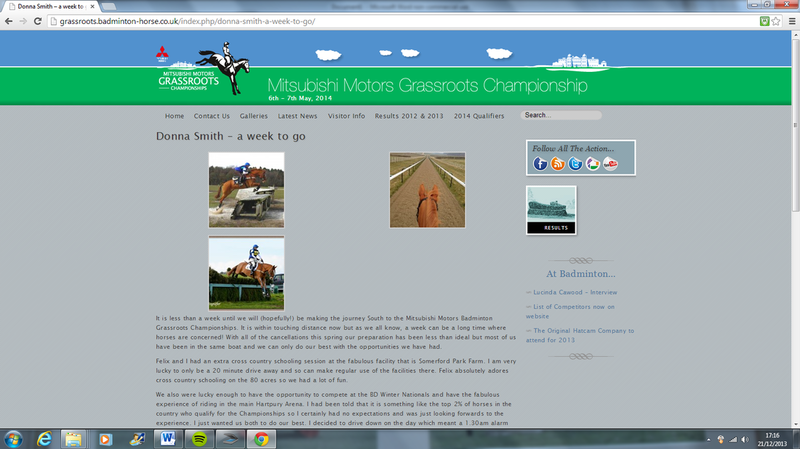 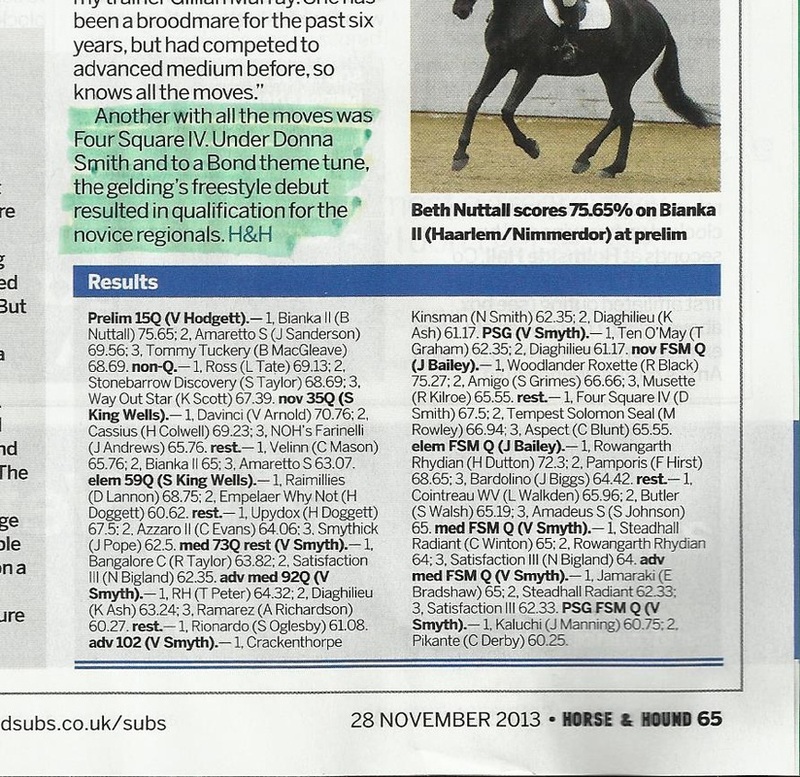 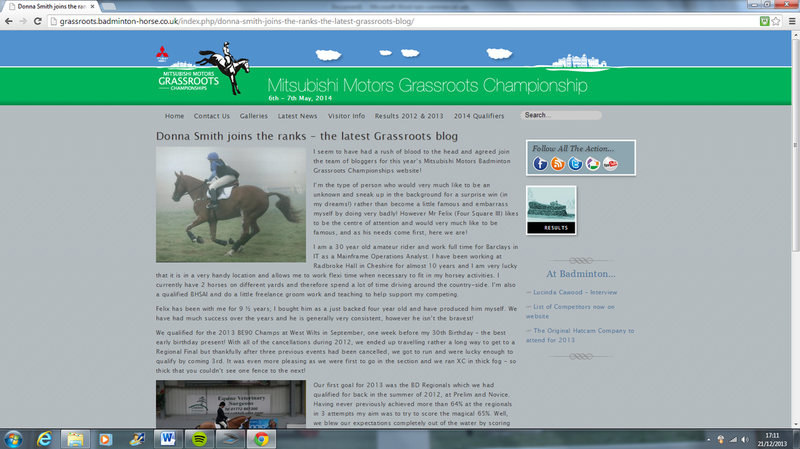 Here you will find snippets of any press clipping myself or my horses have appeared in. 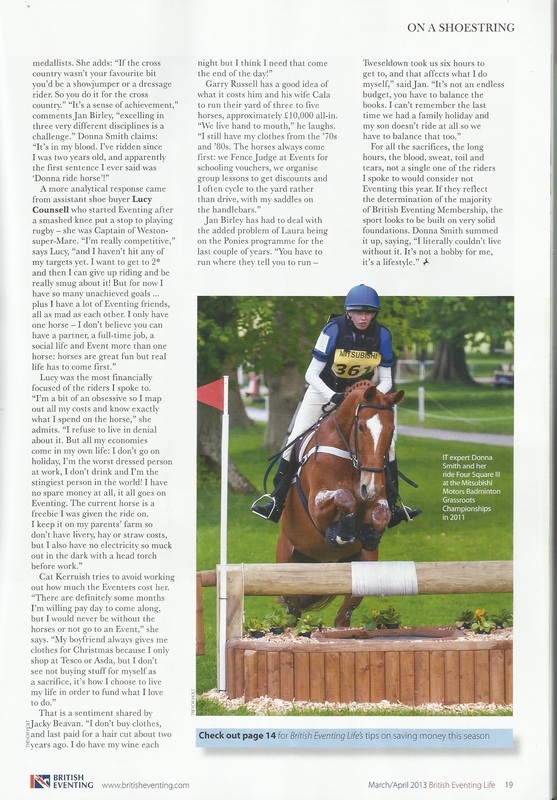 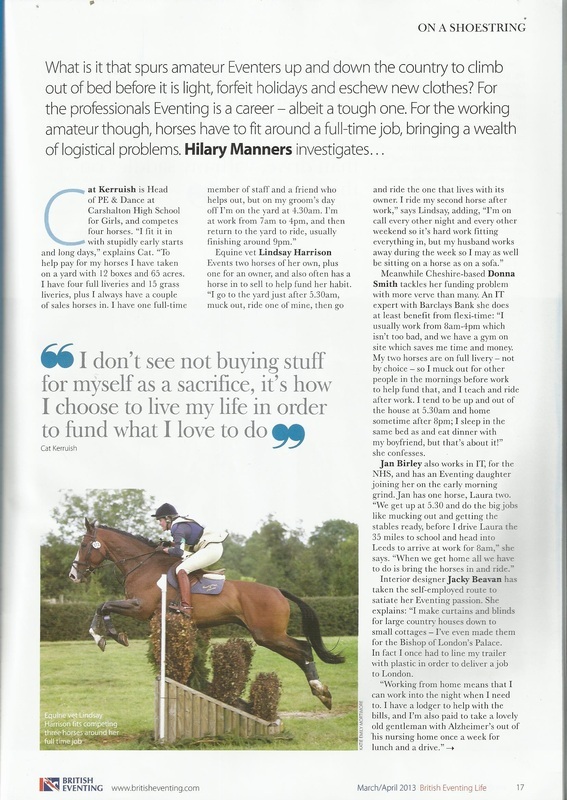 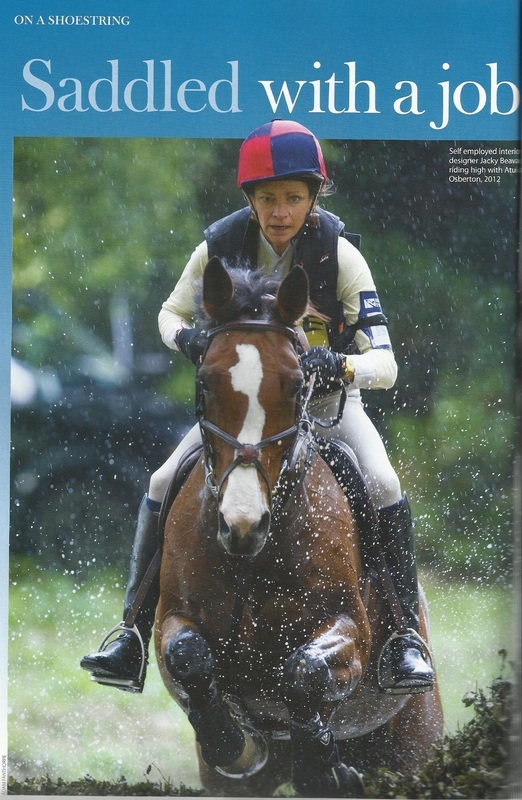 Horse & Hound Magazine June 2015 after winning a BE90 Section at Berriewood Horse Trials. 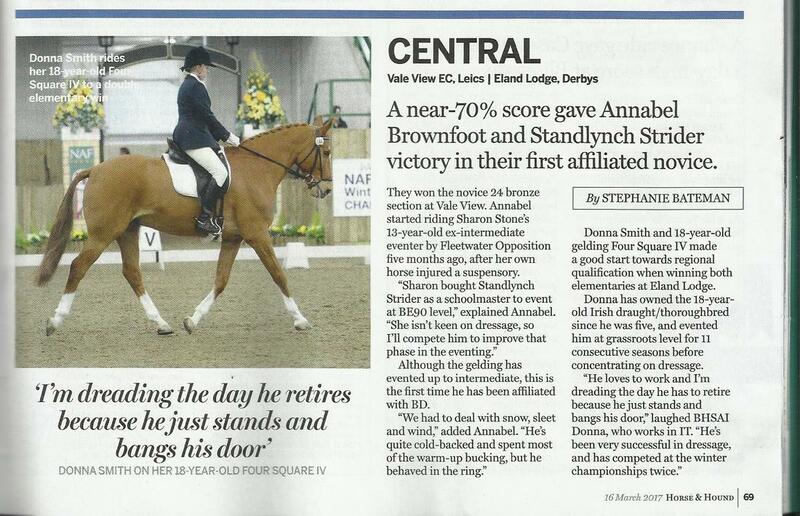 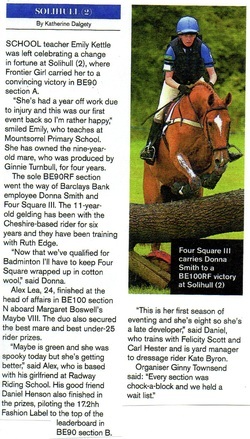 Extract from the Oct/ Nov 2010 Issue of Central Horse News. 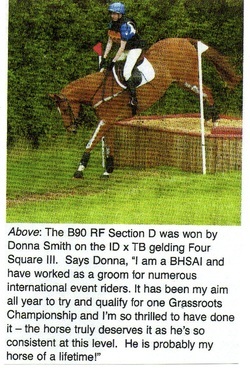 Winning the BE90 Regional Final at Solihull Horse Trials in August 2010. 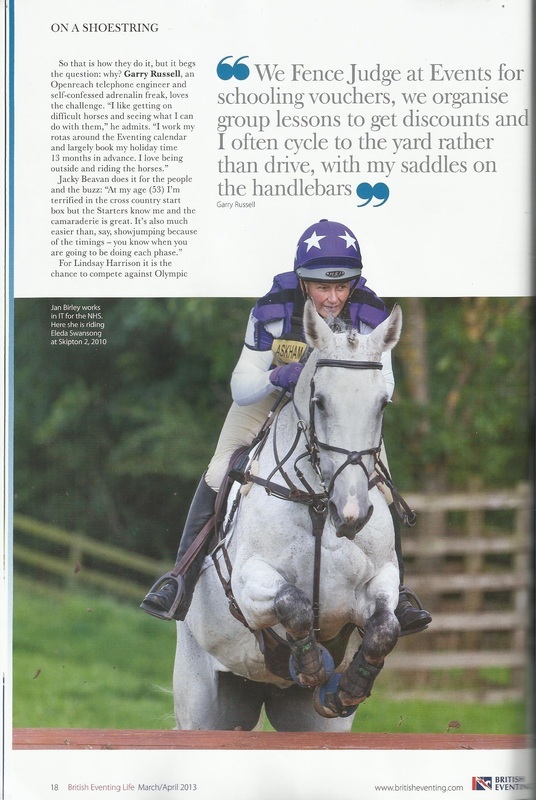 Extract from the October 2010 Eventing magazine.